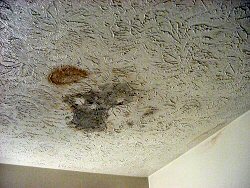 Cira and Associates Consulting can help keep your home free of mold spores and other contaminants that can adversely affect your living conditions and air quality in your home. We offer the following services. 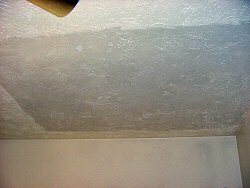 The pictures to the right show a section of ceiling during phases of mold removal. The top picture shows the visible signs of mold that were evident before the process began. The second picture shows the actual mold infestation. 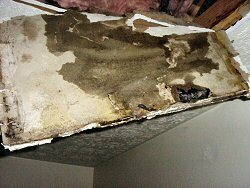 Notice how there is far more mold shown here than was initially detected. The third picture in the sequence is the finished ceiling, repaired to original condition.